Friends and family of a New Jersey mother who was seriously injured in a hit-and-run are haunted by the heinous crime and wants the driver off the streets. 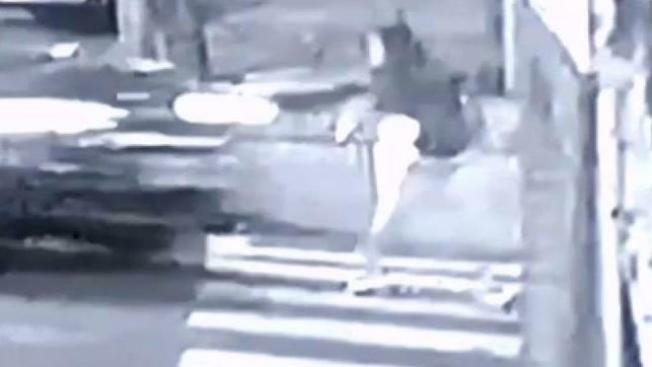 On March 18, 25-year-old Jessie Tugonon was crossing Boyd Avenue in Jersey City when an SUV plowed into her, dragged her for half a block and kept on going. Rosario said Tugonon was left gasping for air with her lips turning purple. Tugonon’s aunt says her niece is still in the hospital fighting for her life. She says she has a collapsed lung, a fractured rib and is unable to walk. Foxworth says she is praying the damage to her niece is temporary. Detectives are going through surveillance footage and they say they are hopeful an arrest will be made soon.